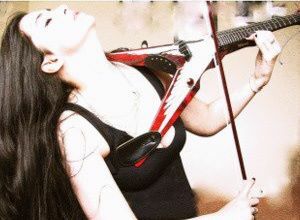 “After years of searching for an electric violin that could step up to rivaling a [guitar], I finally found the Viper. No longer would I be confined to an inferior, colourless palette of sound and genre that had gone before. “When I heard Mark Wood play I knew that this beast could rival any dueling guitarist and indeed make even a classical musician envious. As a first for me there was no hesitation in ever needing to try this violin, as conversion was instant. My order for a fretted five-string with custom paint job in homage to the music (or should I say bands) I love most, was in! 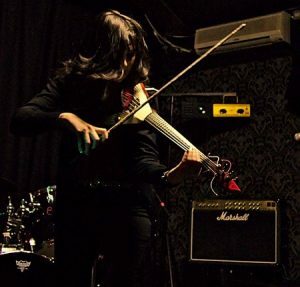 I flew to out to the guys in New York to pick up my axe and was immediately taken aback by the stunning quality of the finish and versatility of this beautiful and very metal violin.